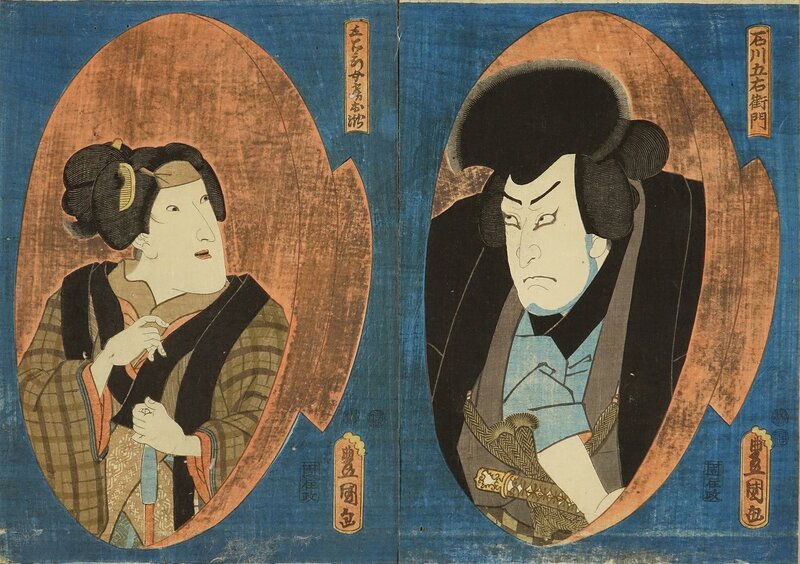 The people in these Toyokuni III prints are identified as Goemon and his wife Otaki. Said to have been published in 1848. Could anyone identify the actors and the play. Could not find any reference to a performance of a play of this date with these characters. Is the play possibly "Kama-ga-Fuchi" or a variant of it? Is the date right? Also, who was the print publisher? Thanks! Subject: actors and play? publisher?